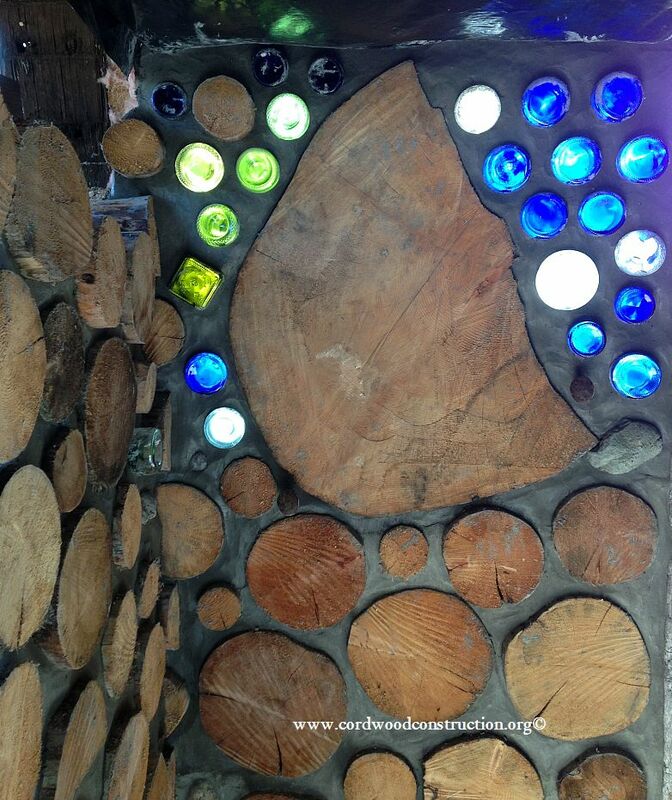 The cordwood home of Mark & Chelsea in Alaska. 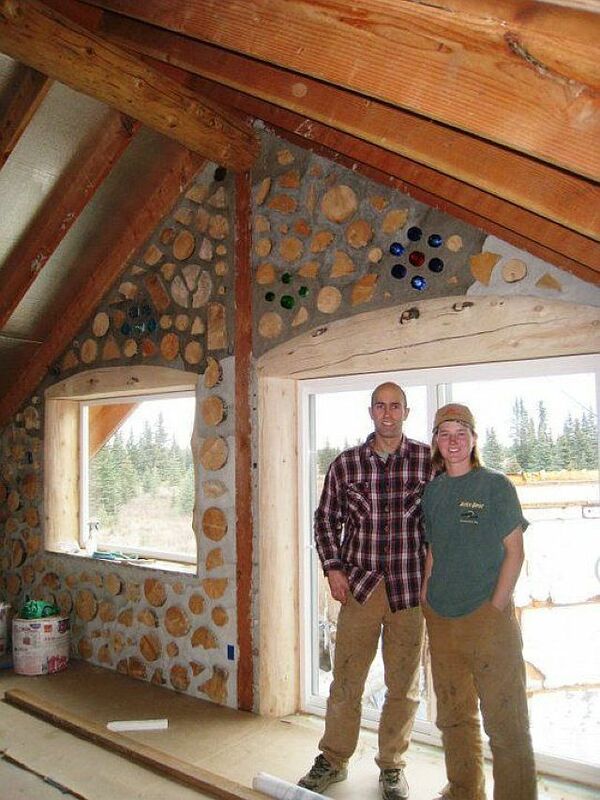 Here are Mark & Chelsea in front of their cordwood home in Kenai, Alaska. 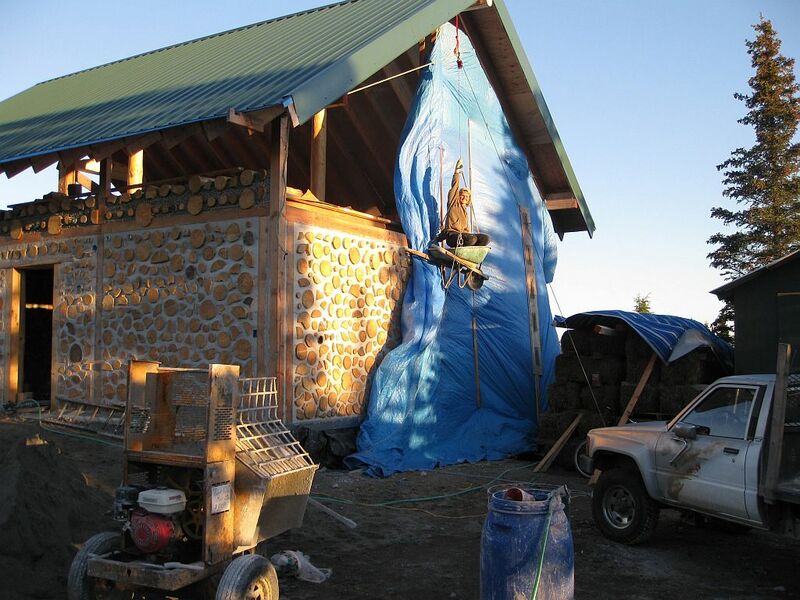 The walls are 14″ spruce logs with foam insulation in the center cavity between the two 3″ mortar beads. 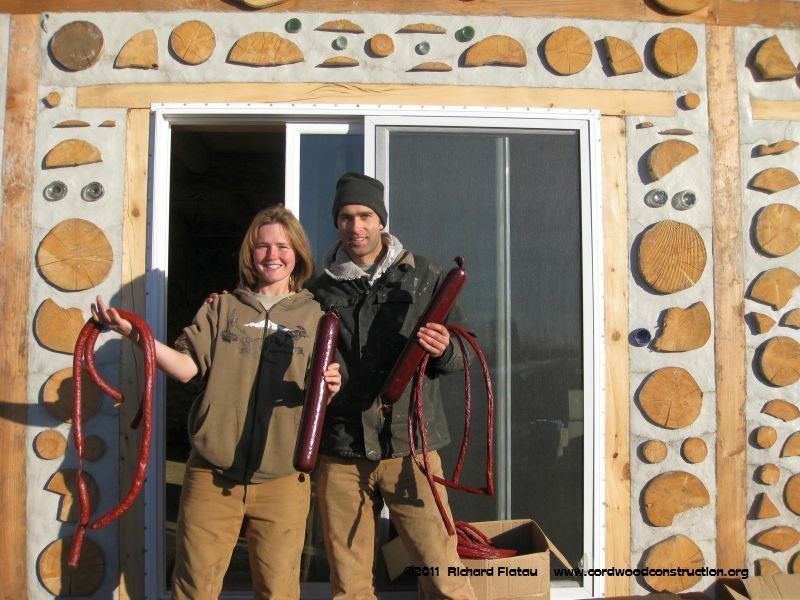 Mark and Chelsea are holding moose sausage harvested from the moose that ate their garden. 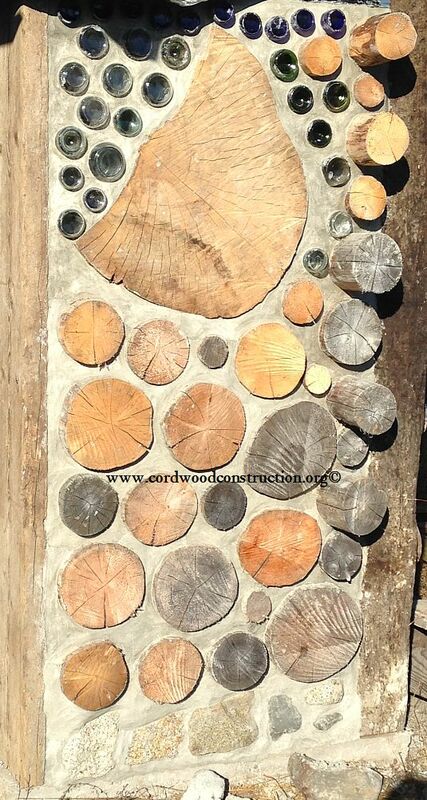 They used a log wizard to craft the beams, posts and rafters. Alaska provides ample solar time to work during the summer, but in the winter it can be a challenge. 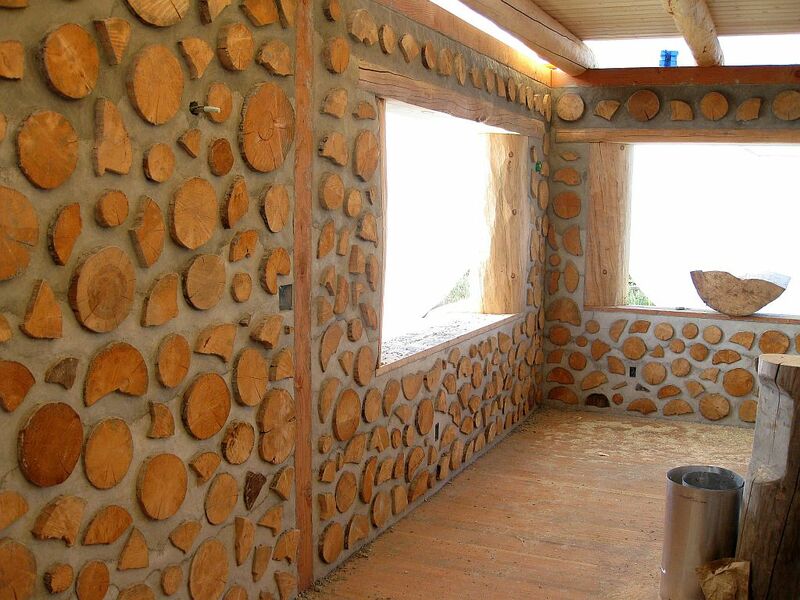 Inside the second floor with doors and windows framed. Riding the wheelbarrow up to the second floor. Don’t try this at home! Nice job Chelsea and Mark. 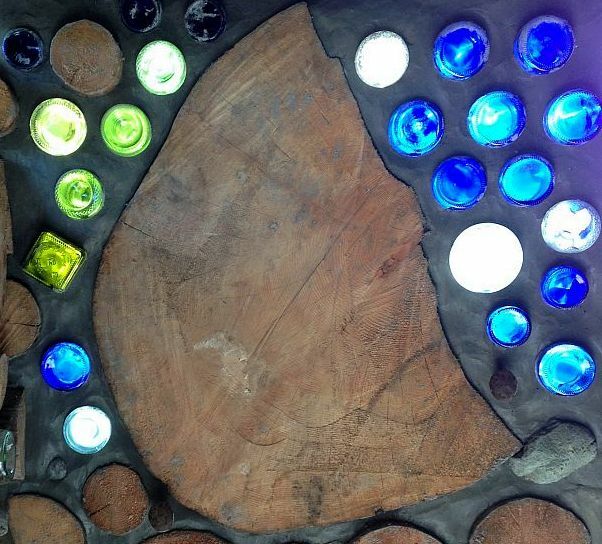 New photos (2017) from Chelsea and Mark of their cordwood addition. 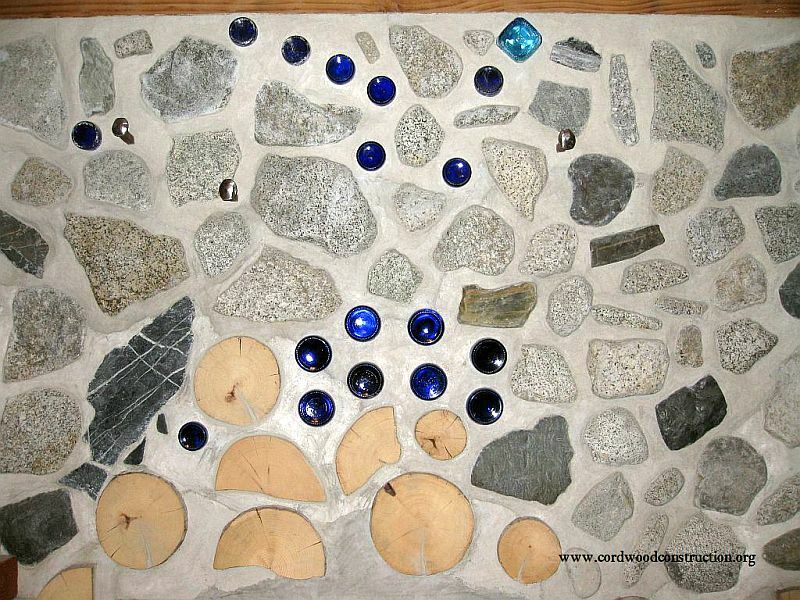 Note the stone fish and the Big Dipper in bottle bricks. 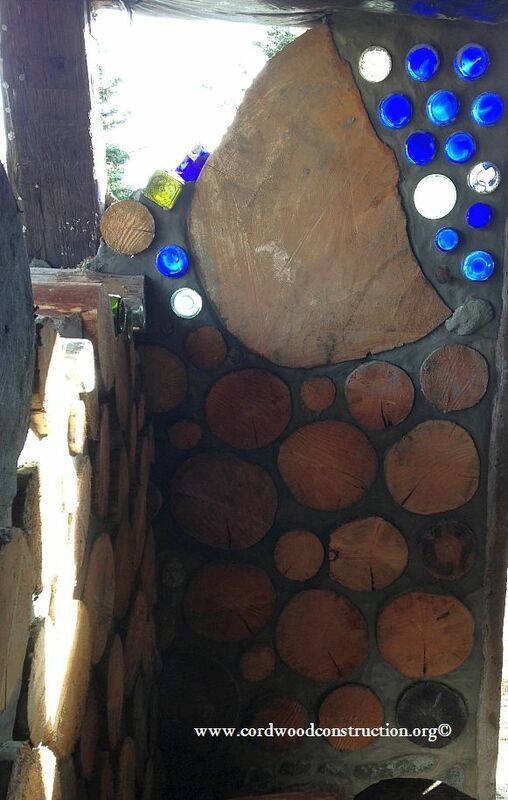 Chelsea and Mark recently completed a cordwood sauna (2017) with bottle ends and a huge moon shaped piece of pine. 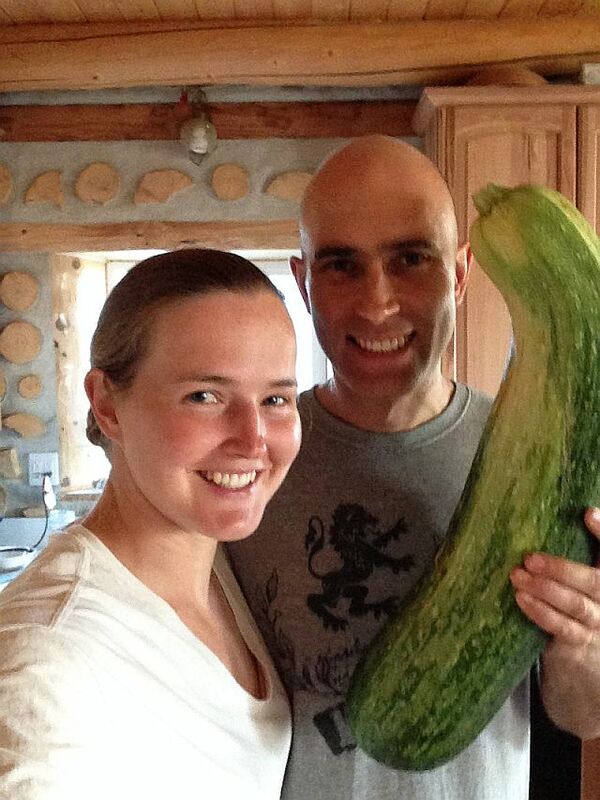 Here they proudly display their homegrown 24-hours-of-sunlight mega-Alaskan zucchini. 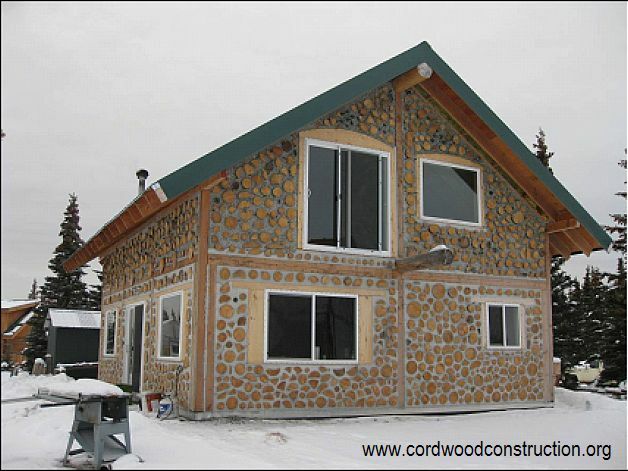 Chelsea wrote a detailed article about building this cordwood masterpiece for the Cordwood Conference Papers 2011, which was then shared at the Cordwood Conference in Winnipeg, Canada in June of 2011. The Papers are for sale as an ebook or a print version and the quality of information and the breadth of subject matter is outstanding. 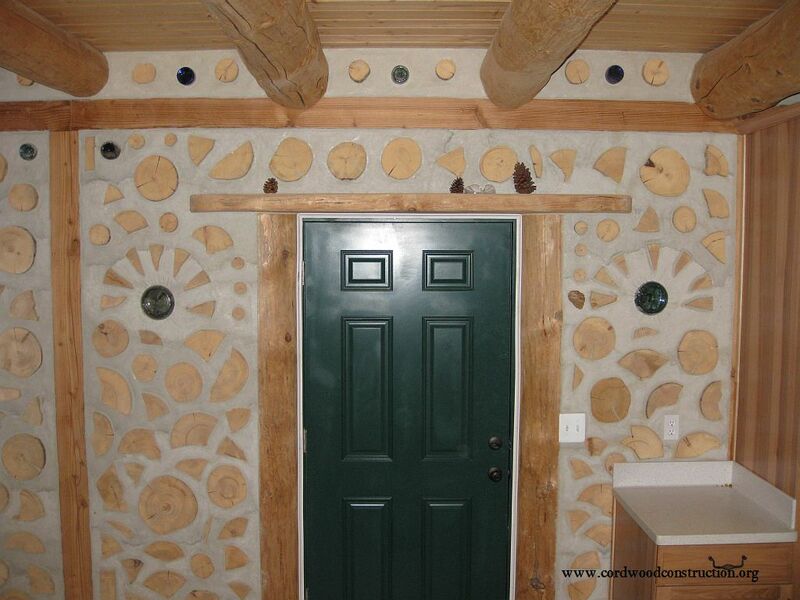 Readers have requested a brief bio, so here goes: Richard & Becky Flatau built their mortgage-free cordwood home in 1979 in Merrill, Wisconsin. 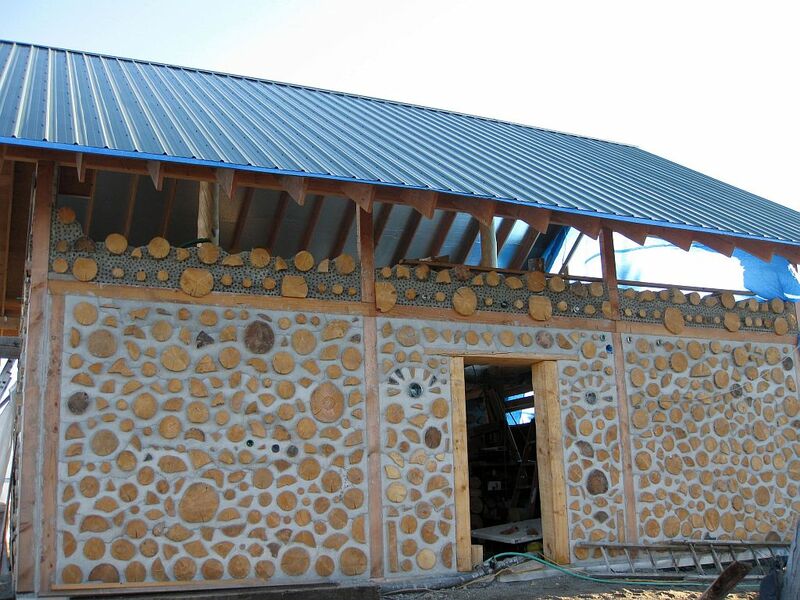 Since then, they have written books, conducted workshops, facilitated the 2005, 2011 and 2015 Cordwood Conferences and have provided consultation for thousands of cordwood builders. 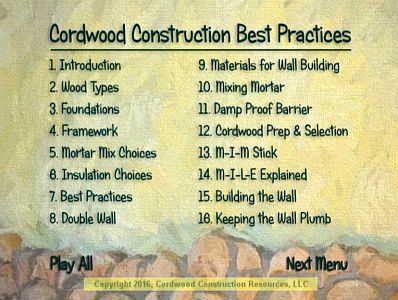 Cordwood Workshop Video, Cordwood Construction Best Practices (2017) and Cordwood Conference Papers 2015 are the newest publications available from their online cordwood bookstore. 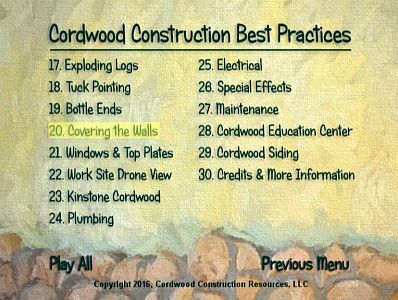 www.cordwoodconstruction.org Here is a picture of the Cordwood Workshop Video cover, featuring the Cordwood Education Center.